The official story goes something like this: wicked mortgage lenders in the USA had been making loans to people who would never be able to repay them (the so-called sub-prime borrowers). The banks that had underwritten them believed that they were safe. Only when things began to unravel did the banks realise that they might be holding some of this, now toxic, bad debt. As a result, they refused to lend money to each other – bringing the banking system to a halt because they couldn’t process payments or dispense cash. When queues formed outside banks around the world, governments had no choice but to step in and provide sufficient new money to see the banks through the crisis. The big lie was that the banks had a liquidity crisis. We all experience these on a small scale at some point in our lives. It is that situation when you need some cash but you don’t get paid until the end of the week. So you go to a friend of family member and ask to borrow some cash for a few days to tide you over or, if worse comes to worse, you take out an overdraft or a payday loan. This, in effect is what the bank CEOs told the politicians. There wasn’t – they claimed – an existential crisis, merely a cash-flow problem that was exacerbated by the queues of depositors seeking to withdraw their money. Given a breathing space, the banks would be able to sell off some of their assets (their equivalent of payday) and recapitalise themselves. What they needed to tide them over was for the state to come in and bail them out. This raises an obvious and troubling question – if none of the banks had money to lend out, where the hell were government’s going to get money from? 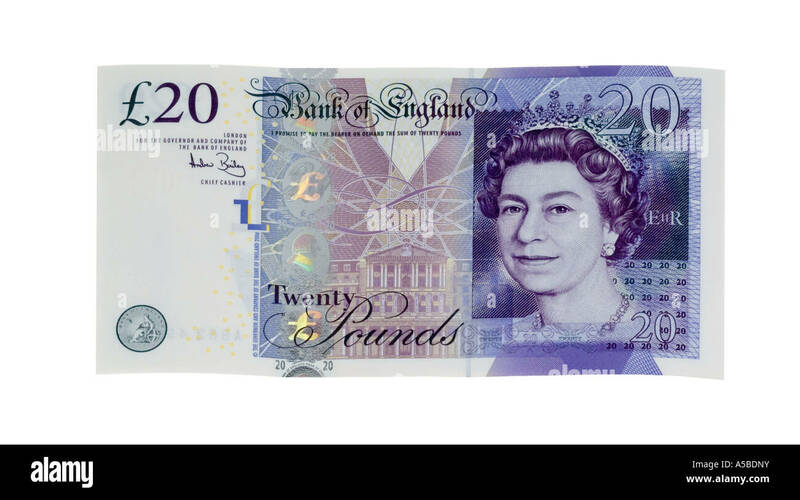 As it happens, despite the recent Tory economic illiteracy about magic money trees, governments really can print currency into existence any time they choose. This said, that is not what they did. What they actually did was to bail out the banks with borrowed money. Which, again, begs the question, where did the money come from? The money came from the only other source that is legally permitted to print money out of thin air – governments borrowed the money from the same banks that they were bailing out. They could do so, because governments – at least in developed western states – are the safest borrowers of all… if they were not, interest rates could not be kept below one percent. The question that follows is why, a decade later, governments are still struggling with the debt that was created to temporarily bail out the banks while the banks sold off some of their assets to recapitalise themselves. Why, that is, did the banks not repay the loans they received from governments? The reality was that the banks conned panicked politicians into responding to the wrong type of crisis. The banks did not have a liquidity problem (in the vernacular, a “credit crunch”); they had a solvency problem. This relates back to the financial deregulation that began under Thatcher and Reagan and accelerated under Clinton and Blair (so, yes, Labour was – partially – responsible; just not in the way Tories think). Deregulation made it much easier for banks to make loans to a much wider population. Anyone around at the time will remember that this was the moment when companies switched away from paying wages in cash. Increasing numbers of us were obliged to open bank accounts. And before long we were being offered cheque books, debit cards and overdrafts. Even so, in the mid-1980s the banks remained relatively cautious (pre-approved credit cards and 110% mortgages came later). This was because although they could make (a lot of) money on loans, it still took time – years for the repayment of a car or home improvement loan; decades on a mortgage… and there was the ubiquitous risk of default. In the Clinton/Blair era the fatal change was that banks had discovered securitisation – which theoretically removed the risk from lending – and lobbied hard for further deregulation. Believing that allowing banks to loan out vastly more money would be good for the economy, the politicians gave way, paving the way for banks to go on a globalised lending (i.e currency creation) binge. In effect, securitisation allowed the banks to create money out of thin air when they loaned it, and then sell it on to a third party more or less immediately. Initially it worked. Because banks were still cautious, they tended to loan to AAA-rated borrowers who seldom defaulted. Banks got rich, corporate borrowers got rich, mortgage holders got rich, the economy boomed, politicians got re-elected and economists deluded themselves into believing they had put an end to boom and bust cycles. Banks that used to be small provisional operations – like the Royal Bank of Scotland – were transformed into planet-striding giants with balance sheets bigger than the British or German economies. It couldn’t last. Banks ran out of AAA-rated borrowers. To keep the party going, they began to lend to ever less credit worthy borrowers. When third party investors got jittery about the risk, the banks turned to the so-called “shadow banking” (i.e. unregulated) sector to insure the securitised investment vehicles (SIVs) against default. When even this began to falter, to keep the party going, the banks set up subsidiary companies in offshore tax havens to buy their own SIVs, just to keep their market value up. The crisis came when the guys on the top floor of the banks discovered that the traders ten floors below had been buying back each other’s dodgy investment vehicles to use as collateral against the sub-prime loans they were making. This was why 2007 was a solvency crisis… and why taxpayers are still counting the cost. The banks were not sat on assets that could be sold given enough time; they were sat on worthless paper that was backed by nothing more than the signature of (among others) homeless people in America’s rust belt. In short, the banks were bust. We have well-established procedures for dealing with bankruptcy – we recover any assets that still have value, and the owners and senior managers bare the losses. This is what governments should have done. The physical assets – the buildings, computer networks, ATMS, etc. – were still there. They could easily have been taken into temporary public ownership without the need to compensate their already bankrupted owners. Government could easily have printed sufficient new currency both to recapitalise the banks and to compensate ordinary depositors. Had they done so, the crisis would have been over within a couple of years. A decade on and the economy remains full of zombie companies and households; barely able to service their pre-2008 debts and only surviving because of low interest rates. A swathe of well-paid, full time jobs have been replaced by low-paid part-time and gig economy work. Only those at the top have enjoyed rising salaries; everyone else has seen their income stagnate or – if you are at the very bottom – contract. In real terms, most of us are worse off today than we were immediately after the crash. The key reason for this is that governments – via the central banks – acted as the borrower of last resort when they bailed out the banks. The thing that makes any loan valuable – including the paper money in your wallet (check it) – is the signature on the agreement. What made the mountain of loan agreements held by the banks in 2007 totally worthless was that they were the promises of people who were destitute – it would cost the banks more to pursue the bad debt than they could ever hope to recover. Indeed, even repossessing the houses that were supposed to secure mortgage agreements wouldn’t help, it would just add to the crash in house prices now that everyone was desperate to sell. The signature of the head of the central bank is a whole different matter. In effect, it is a promise that future taxpayers will guarantee to pay back what is owed. When the banks conned the politicians into borrowing money to bail out the same banks, they were effectively swapping the worthless signatures of sub-prime borrowers for the gold-plated pledge that future taxpayers would put servicing the bank debt ahead of just about everything else. In Eurozone countries like Greece, that cannot print their own currency, the result has been tragic. In Britain – the worst performing European economy except for Greece, the wounds are more gratuitous. It is only during the government of Gordon Brown that the UK made the final repayment on its Second World War debt. The debt from the First World War was finally repaid under the ConDem Coalition. The debt from the Napoleonic wars is still being paid off. The point is that there is no reason why the government cannot keep rolling the loan over for centuries if need be. Trying to get rid of the deficit by 2015 – while the economy was still in recession – was economic insanity; but the Tory government is now trapped by that narrative… increasingly unpopular but unable to change course. In Britain, the full effects of the austerity programme are only now being realised. Infrastructure is crumbling. Public services are reeling from one crisis to the next. Wages have crashed. The economy has only grown because the population has increased – per capita GDP has been falling. Now, with skilled European workers leaving in the wake of the Brexit result, the economy is tipping into recession. And the crisis isn’t over. The next crisis will not be because the banks are “too big to fail” it will be because they are too big to save. Not, this time around, because of anything more underhand than usual on the part of the banks, but simply because governments themselves – having printed trillions of dollars, euros, pounds and yen of quantitative easing into existence – will have exhausted their stock of credit worthiness. The biggest lie of all ten years ago was that the politicians had no choice. They did. Allowing the banks to fail would have been painful. They might have had to suspend banking for a couple of days while they recapitalised. And we would probably have had a recession. Nevertheless, by now we would be living in a much stronger economy. Instead, the politicians have simply propelled us toward an even bigger crisis; even as we ordinary mortals continue to pick up the bill for the last one.